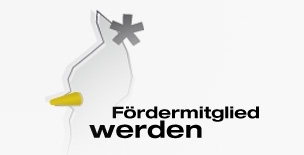 Since 1977 Aktion Plagiarius e.V. annually grants the negative award "Plagiarius" to those manufacturers and distributors whom the jury has found guilty of making or selling "the most flagrant" (design) imitations. Goal is to denounce the unscrupulous business practices of counterfeiters, who pilfer intellectual property and pass it off as their own creative achievement. Also we would like to shed light on and call attention to the injustice and the problems of enterprises affected by imitations. Since decades, Aktion Plagiarius contributes to a large extent to raising the public awareness and sensitising the industry, politicians and the consumers. 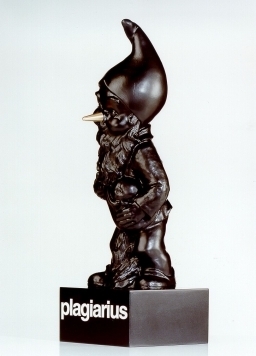 The trophy of the black gnome with the golden nose is a symbol for the exorbitant earnings product pirates collect at the cost of innovative companies. This gnome was created to express the German aphorism "to earn oneself a golden nose" meaning to earn a lot of money. Supporting the campaign "Frankfurt Fair against copying"